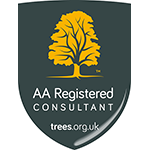 When developing near trees a BS5837 Tree report maybe requested, we have extensive experience in this field and have undertaken additional training in this area. This can be from a simple Desk Study or colour coding of trees for the initial development window to be recognised for land value through to complex sites plans. 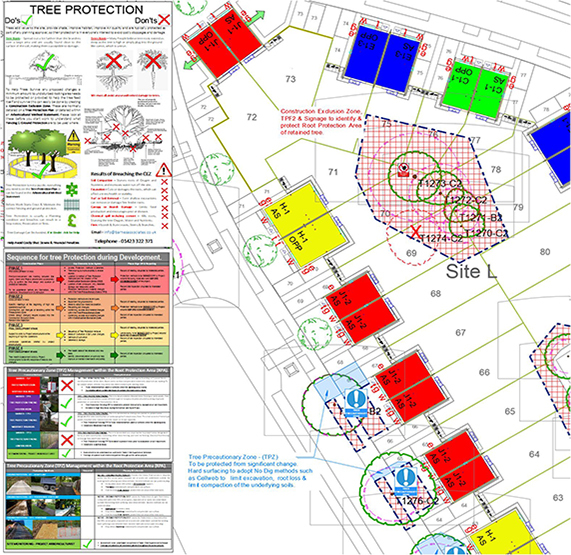 We provide high quality plans allows information to be clearly understood , quickly identify tree dimensions, categories, shade potential and Root Protection Areas (RPA). We fully assess the constraints of a site and understand fully the site constraints and any legislative restrictions and planning constraints. Trees are becoming increasingly important in the planning process and as a result the assessment of trees and the identification of trees and their value to the site and the local area, potential longevity and protection requirements is an important aspect of the design process and can be critical to the outcome of planning decisions. 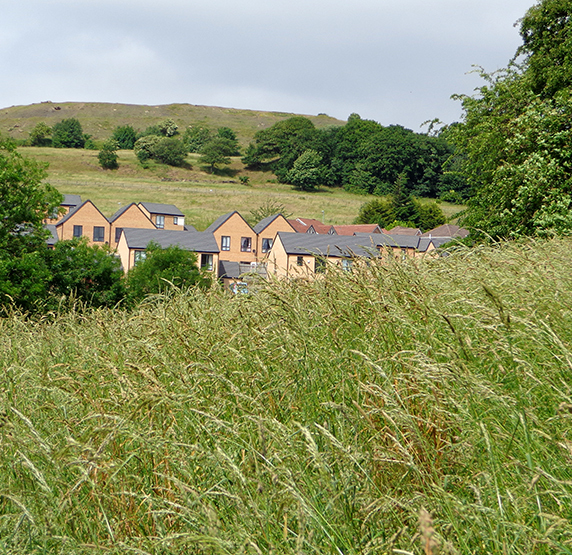 We work with land owners and developers, planners and architects to find realistic cost effective solutions to tree retention and management problems whether this is for a small extension or several hundred of units. Reports and plans are provided digitally in PDF and in CAD formats to be used by the rest of the design team. We can produce plans with various plotting outputs to suit your needs from 2D to 3D. We can be called upon at any stage of the development process. We often help with finding technical solutions to schemes, including shade studies or advise on methods on how to successfully develop areas close to trees when others have failed. As the scheme becomes better defined and the design is refined the Arboricultural Impact Assessment (AIA) enables the losses, protection requirements and the requirements for replacement trees to be better understood. This broadly relies upon defining Tree Protection Zones (TPZ) and detailing the location of Construction Exclusion Zones (CEZ). These can be simple or complex documents where visuals are important to enable the scheme to be interpreted by all involved. We also provide Tree Visual Impact Assessments (TVIA) to detail the effects of the scheme on the tree population for receptors (viewers) detailing tree removals and new tree planting over time. 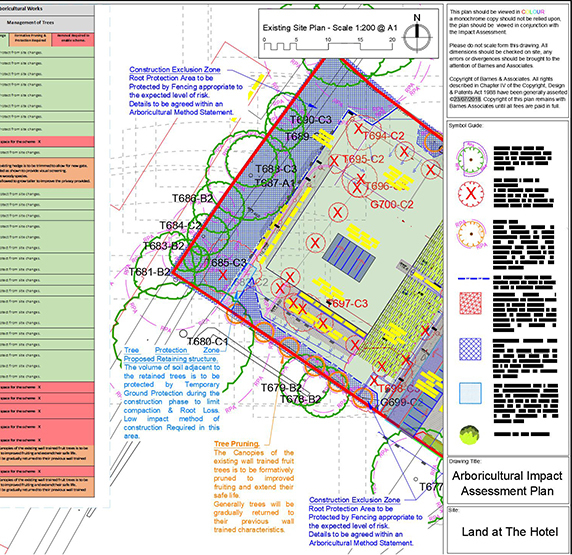 Typically, a Arboricultural Method Statement (AMS) is a conditional item after approval has been granted and normally requested to support more difficult development sites where a local planning authority may require a greater understanding of the tree protection sequences, construction details and site arrangements and phases to identify the retained trees and the specific protection methods to be used on the site.  These can be complex and we are very experienced in providing these for various development types. 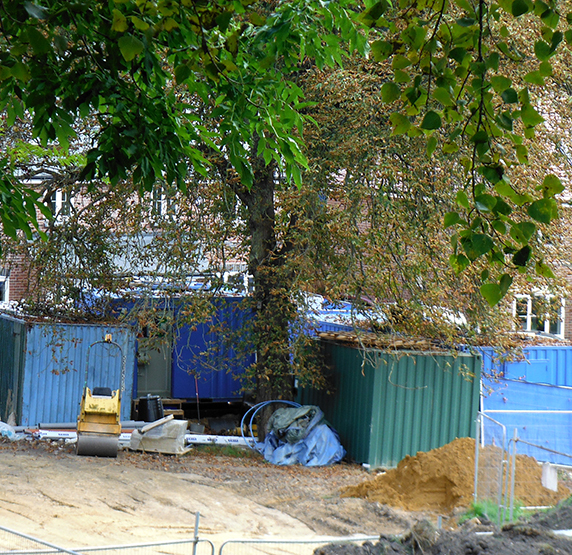 Occasionally when permission is granted a local authority can require additional information often listed as ‘conditions’ to be addressed before the commencement of a project in order to provide greater details on the tree protection methods, sequences, construction information, site arrangements along with site monitoring. We can present this in the form of working plans, Method Statement or Tree Protection Plans, Tree planting plans or Tree Care Plans. 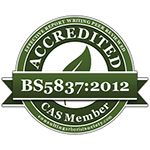 We submit site monitoring records to ensure your project keeps on track. * Our specialism in trees, (green infrastructure, linear corridors, ‘or those green fluffy things’ amongst other names) give us a specialist edge on many other practices. We are a registered practice of the Landscape Institute and our chartered landscape architect offers a broad palette of landscape management, design and improvement services to help you both improve your site and help simplify its maintenance by drawing upon decades of experience. We specialise in the establishment or trees, woodlands, screen planting, hedges and shrub plantings, but we are equally happy working with all aspects of soft works for public, commercial and private projects. This has involved us in a wide range of projects for public open space, highway, schools and a wide range of private and commercial clients. Our plans are provided in 2D in AutoCAD enabling seamless coordination of drawings with architects. 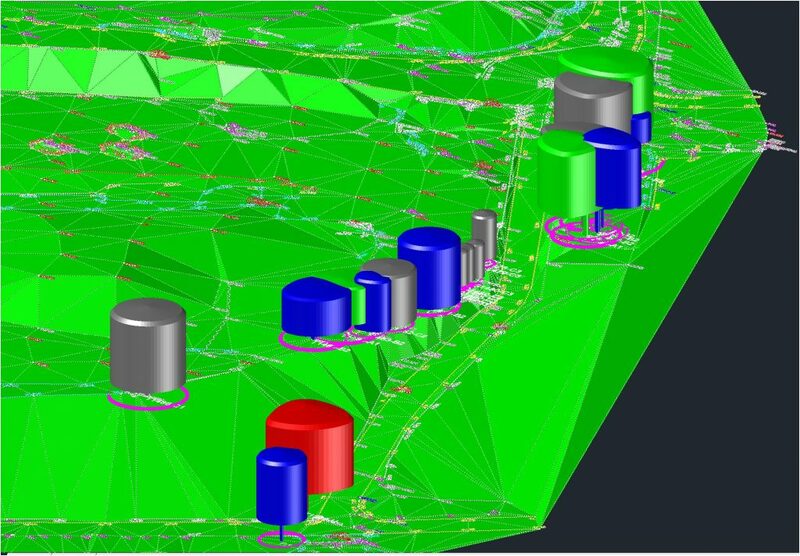 3D Tree plans provided in BS5837 colours enables rapid site analysis and clash detection with services and proposed buildings. BIM – Building Information Modelling, is about data sharing we share, collaborate our information with other consultants and team members, this reduces costs and project costs. Bespoke plots and visuals can be provided upon request.